PIERRE, S.D. – The Yankton Job Service office is undergoing renovations starting Wednesday, March 27 and concluding Friday, April 5. The office is in the State Kanner Building at 3113 Spruce. Appointments will not be scheduled during this time, but walk-ins with immediate needs will be served from 8 a.m. to 5 p.m. CST. The Department of Labor and Regulation (DLR) provides job seeker services such as employment searches, resume and cover letter assistance, mock interviews and workforce training. Businesses can receive worker recruitment services. 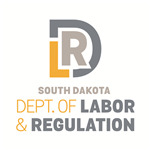 For more information about DLR, call 605-668-2900 or visit www.sdjobs.org.